Economic type long arm 25” (635 mm) single needle large horizontal hook compound feed lockstitch sewing machine. Equipped with upper big dial to control the presser feet jumping height & pneumatic presser foot lifter only (not mechanical). Optional: pneumatic backtacking. Stitch length 9 mm. 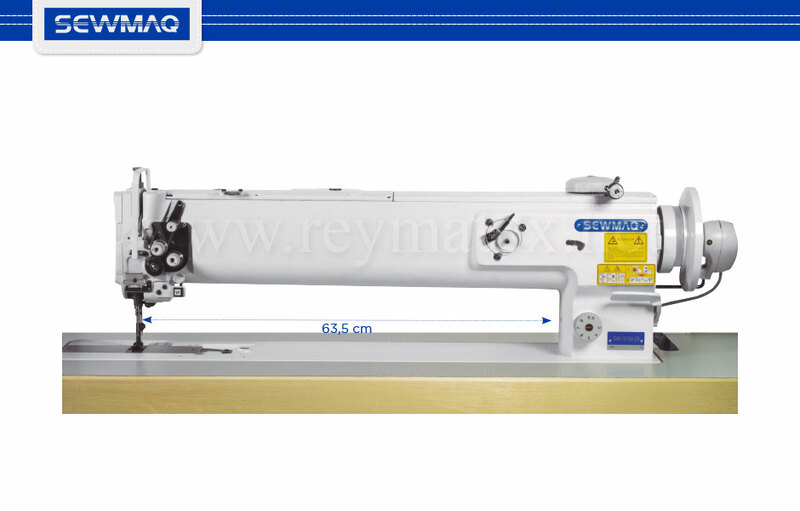 Economic type long arm 25” (635 mm) 2 needles large horizontal hook compound feed lockstitch sewing machine. Equipped with upper big dial to control the presser feet jumping height & pneumatic presser foot lifter only (not mechanical)*. Optional: pneumatic backtacking. Stitch length 9 mm.